Aurora-SchAAS brings Aurora’s underlying general purpose optimizing resource constrained scheduling engine to 3rd parties and other solution providers via the cloud. Stottler Henke has been solving NP-Complete resource allocation problems involving the satisfaction of a large number of complex constraints for over 25 years. Aurora’s scheduling engine is independent from the Aurora user interface, making Aurora’s interface highly customizable to various problems in widely different domains. Therefore, the benefits of the Aurora scheduling engine can be used independently of the front end if this would be beneficial to an end-user client, or Aurora can be integrated with other cloud/SaaS Project Management (PM) solutions. Many cloud/SaaS project management tool solutions provide visual resource leveling, which aids the human scheduler in determining how to level the resources by hand. Aurora-SchAAS enables this critical and time-consuming operation to be automated. 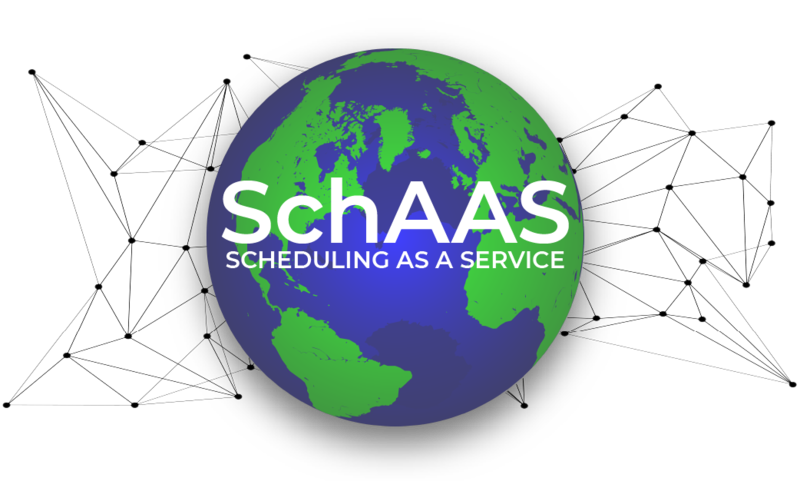 In addition, Aurora-SchAAS includes a complex constraint, rule, and feature set so that domain-specific scheduling can be quickly modeled and solved optimally. Furthermore, even providers that currently offer resource leveling may wish to upgrade to Aurora’s superior intelligent scheduling to provide their clients with superior scheduling results. Aurora-SchAAS frees cloud/SaaS project management tool solution providers to concentrate on their core competency in their solutions while delivering the world’s most efficient scheduling solution transparently to their user base. Aurora’s intelligent scheduling provides the shortest resource-constrained critical path. Intelligent scheduling provides more flexibility and an improved ability to accommodate change, including injections of new tasks during execution. Fast scheduling—Aurora not only creates the most efficient schedules, but calculates them quickly. This also permits many what-ifs to be performed rapidly. Interfaces with Primavera P6, Microsoft Project, Siemens TeamCenter, Artemis, Open Plan, PS8, Oracle and other enterprise applications; to import, analyze, and export schedules. Provides intelligent conflict resolution, helping users to find options for resolving conflicts faster. Click on conflict reports to be taken directly to the conflict in the network. Provides an enterprise-level solution, including support for any time duration for tasks: minutes, hours, days; and offers support for any number of large projects. Thank you for your message, we will be in touch very shortly. Please check your spam for our response. Please enter your contact details, company name and a short message below and we will answer your query as soon as possible. What current solution do you have in place (if any)? What is your greatest scheduling challenge?